Ferritic SS IRSM44/97 Plates for Rail Wagons / IRSM-44/97 Plate for Indian Railways. IRSM 44/97 Plates, IRSM-44/97 Plates Exporter in India, SS IRSM44-97 Plates, Stainless Steel IRSM 44/97 Plates for Rail Coaches, Ferritic Stainless Steel IRSM-44/97 Plate for Wagons, IRSM-44/97 Stainless Steel Plates, SS 409M /IRSM44 Plates for Railways, IRSM 44-97 Corrosion Resistant Steel Plates Supplier in Mumbai, India. IRSM44-97 Hot Rolled Plates, IRSM-44/97 SS Plates, IRSM-44/97 Plates for Railway Wagons, IRSM 44/97 Plates for Indian Railways, Stainless Steel 409M Plates, IRSM44-97 HR Plates, Stainless Steel IRSM-44/97 Cold Rolled Plates Exporter in Mumbai, India. Jayesh Metal Corporation is the formidable stockholder and supplier of Irsm-44/97 plates. It is commonly used fabrication item, particularly for railway wagons just because of abundant availability, ease in fabrication, good strength, heat treatment, forge and cast, low costs, easy in enhancing the properties through adding elements, eco-friendly and recyclable. Irsm-44/97 SS is highly demanding material in the application in railway all across the globe on account of greater strength to weight ratio, long lasting, corrosion resistance and aesthetic appearance. The biggest benefits of using it are that it is 100% recyclable and sustainable. The lesser maintenance and durability has it to be the best choice. A bright contemporary SS finishes have strengthened the SS application into the railway industry. Furthermore, the SS doesn't require a protective coating that is further is reducing the cost of maintenance. For the wagon application, the industry will be taking utility grade SS 1.4003 that is having numbers of the name in various places. The Irsm-44/97 plates are supplied as per the equivalent standard and specifications that are EN 10088-2 ASTM S409977, SS409M, F12N, DIN X2Cr11, 3CR 12, X2CrNi12, IR- Ck 201. The thickness of it is 6MM to 150MM. the width of it is 1000mm to 2500mm. The length of it is 6000mm to 12000mm. The item is undergoing several testing that is enhancing the quality of the item. These are PMI test, IGC test, flattening test, flaring test, macro test, micro test, hydrostatic test, radiography test etc that is assuring high-quality of production of plates. Length : lenth based on the customer's requirement. Tolerance : Tolerance shall conform to ASTM A480 of specification No. IRS:M44/97 for hot rolled sheets/plates. Tolerance on thickness for 5-8 mm thick hot rolled sheets/plates shall be in the limit + 0.5 mm to — 0.2 mm. 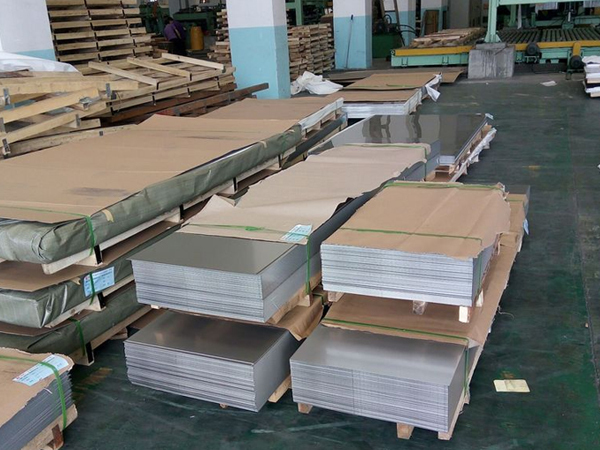 irsm-44/97 ferritic stainless steel plates, irsm-44/97 plate, irsm-44/97 plates supplier in mumbai, stainless steel irsm-44/97 cold rolled plates, irsm-44/97 plates supplier in india, irsm-44/97 ferritic stainless steel corrosion resistant plates, irsm-44/97 plates exporter in india, specification no. irsm-44/97 for stainless steel plates, stainless steel irsm-44/97 plates exporter in mumbai, ferritic steel plate grade irsm-44/97, grade irsm-44/97 stainless steel plates for coaches of indian railways, ferritic ss irsm-44/97 plates in railway, irsm-44/97 stainless steel plate manufacturer in india, irsm-44/97 steel plate dealer in mumbai, irsm-44/97 specification ss plates, irsm-44/97 plates manufacturer in mumbai, irsm-44/97 price, stainless steel irsm-44/97 plates in railway, irsm-44/97 stainless steel plates price list in india, irsm-44/97 mechanical properties, irsm-44/97 chemical element, SS 409M plates for railways, irsm 44 specifications, irsm 44 plate steel material properties, material irsm-44/97, stainless steel 409M plates, irsm 44, irsm-44/97 in rail coach, irsm-44/97 equivalent, irsm-44/97 grade, irsm-44/97 plate dealer in india, irsm 44/97 plates, irs m-44/97 plates irsm44-97 plates, irsm-44 plates, irs-m44 plate, irsm-44/97 plates, irsm44 stainless steel plates for wagons corrosion resistant, irsm44/97 plates, irs-m44 plates, irs m44 plates, irs-m-44-97 plates, irs m44 stainless steel plates for railway wagons, utility stainless steel grade irsm 44/97 for indian railways, irsm-44 corrosion resistant steel plates for rail wagons, cold roll formed /hot rolled formed plate in rail coaches,irsm-44/97 plates manufacturer in chennai, stainless steel irsm-44/97 plates exporter in kapurthala. Malaysia, Yemen, Lebanon, South Korea, Oman, United Arab Emirates, Poland, Argentina, Russia, France, Nepal, Estonia, Morocco, Macau, Kuwait, Slovakia, Iran, Germany, Tibet, Qatar, Azerbaijan, Trinidad & Tobago,Tunisia, Bahrain, Spain, Angola, Ghana, Croatia, Mongolia, Serbia, Denmark, Taiwan, Afghanistan, Chile, South Africa, Jordan, Kazakhstan, India, Gabon, Sri Lanka, Bangladesh, Thailand, Egypt, Mexico, Bhutan, Belarus, Algeria, Nigeria, Greece, Japan, Portugal, Hong Kong, Australia, Vietnam, Lithuania, Bolivia, Venezuela, Namibia, Turkey, Libya, Norway, Canada, Mexico, Ecuador, Poland, Netherlands, Saudi Arabia, Ireland, United Kingdom, Switzerland, United States, Iraq, Iran, Finland, Indonesia, Belgium, Nigeria, Czech Republic, Italy, China, Austria, Zimbabwe, Romania, Chile, Kenya, Hungary, Philippines, New Zealand, Brazil, Costa Rica, Puerto Rico, Pakistan, Peru, Sweden, Singapore, Israel, Gambia, Ukraine, Bulgaria, Colombia. Perth, Algiers, Karachi, New Delhi, Dubai, Madrid, Geoje-si, Bengaluru, Haryana, Howrah, Kuala Lumpur, Petaling Jaya, Bangkok, Hyderabad, Ho Chi Minh City, Dallas, Chandigarh, Brisbane, Muscat, Rajkot, Gimhae-si, Nashik, Chiyoda, Ludhiana, Navi Mumbai, Manama, Riyadh, Aberdeen, Milan, Hanoi, Sharjah, Al Khobar, Busan, Al Jubail, Lagos, Coimbatore, Dammam, Ulsan, Thane, Mexico City, Edmonton, Caracas, Toronto, Kolkata, Port-of-Spain, Vadodara, Cairo, Noida, Ahmedabad, Surat, Istanbul, Colombo, Indore, Chennai, Seoul, Bhopal, Singapore, Visakhapatnam, New York, Courbevoie, Calgary, Ernakulam, Granada, Jeddah, Atyrau, Los Angeles, Secunderabad, Pimpri-Chinchwad, Ahvaz, Thiruvananthapuram, La Victoria, Gurgaon, Ranchi, Abu Dhabi, Faridabad, London, Santiago, Pune, Lahore, Vung Tau, Kanpur, Houston, Bogota, Jaipur, Baroda, Doha, Hong Kong, Nagpur, Melbourne, Mumbai, Kuwait City, Jakarta, Moscow, Sydney, Jamshedpur, Tehran, Ankara, Rio de Janeiro, Montreal, Kapurthala.